Speeds up the body's metabolic rate. 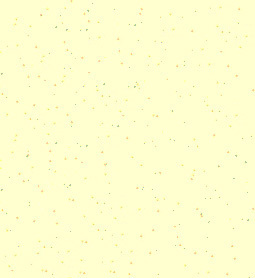 Promotes peace of mind and well being. Trim right peak performance helps to eliminate excess body fat through the process of Thermogenics. Formulated from Kola Nut concentrate- a natural source of caffeine - this effective supplement boosts your energy while it helps curb those unpleasant hunger pangs. Each capsule of Trim Right Peak Performance contains 30mg of caffeine. That's less than in a cup of coffee ( about 180mg). You will also notice an increase in the amount of energy you feel, sometimes dramatically. There are only two ways the body can dispose of excess consumed calories; it must store them as fat or dissipate them as heat. Thermogenics is the relatively new science of dealing with the matter in which the body uses dietary calories to produce heat instead of energy or fat. The fuel for heat production is derived from fat. These fats are obtained from the diet or from stored fat. This is an important process because it keeps calories from being stored as fat and helps reduce the amount of fat that is already stored. Research has shown that stimulation of the Thermogenic process makes a significant impact on body fat. It is the very foundation of a new science that holds the key for unlocking the secrets of fat management. The ingredients contained in Trim Right Peak Performance are designed to enhance and complement a weight reduction program such as No More Diets program. Responsible weight reduction include exercise and reducing the intake of fats and calories. Recommended that you begin with 4 capsules a day, two by 10.00am and two by 3.00pm. If you experience any dizziness or palpitations, reduce your dosage to two per day. Reduce coffee and tea intake, also recommended drink a lot of water. Trim Right Night Time is for night use. It's caffeine-free formula contains Vitamin B6 and Chromium, which helps to eliminate body fat. 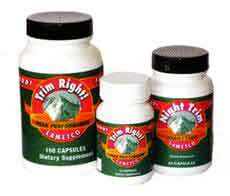 Trim Right Night Time's caffeine free formula contains a well known thermogenic nutrient: Chromium Picolinate. This nutrient has shown to eliminate body fat while you sleep. Trim Right Night Time is the perfect supplement product to Trim Right Peak Performance. Use them together for a peak performance in your weight loss and fitness program. During any weight loss program it is important to make sure your body continues to receive the necessary nutrients to maintain good health. Dosage is one capsule before you retire for the night. Ingredients Trim Right Peak Performance. Kola Nut concentrate (contains naturally occuring caffeine, not to exceed 30mg), Country Mallow, Ginger Root Powder, Willow Bark, Bladderwrack, Saw Palmetto Powder, Hawthorne Berry Powder, Capsicum Powder, Chromium Chelate Complex/Chromium Picolinate - 40mg.